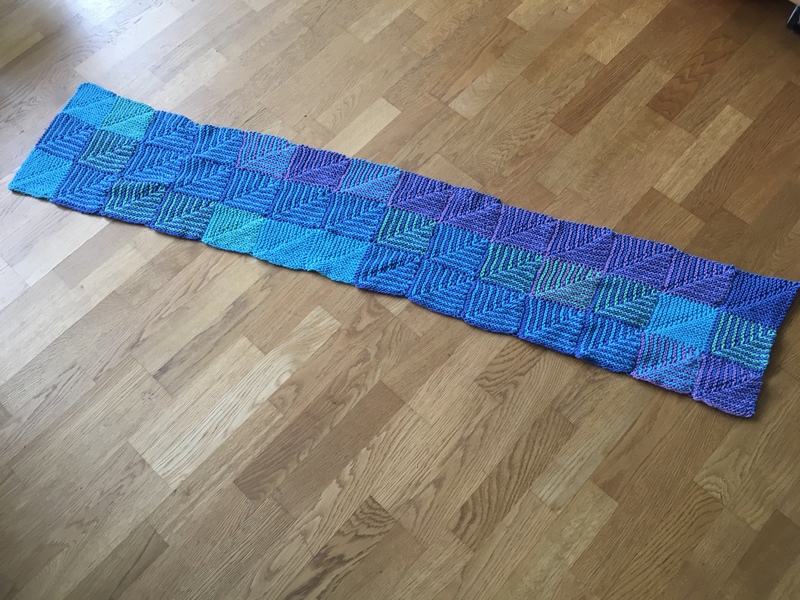 Remember the last photo of my temperature blanket where I wasn’t happy with all the turquoise? Well, the universe listened and gave me a neverending streak of purple and cornflower blue instead. That’s not only just as boring, it’s also much colder with temperatures down to – 3 °C.